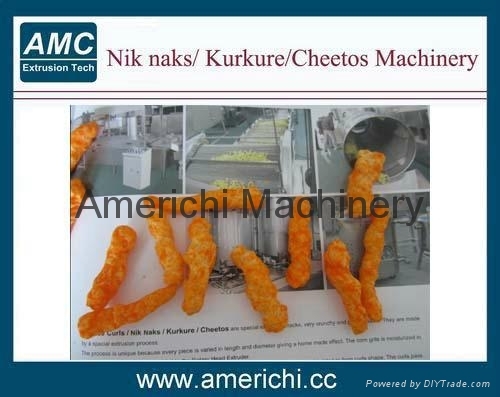 Kurkure is a kind of extruded snacks, very crunchy and great in taste. 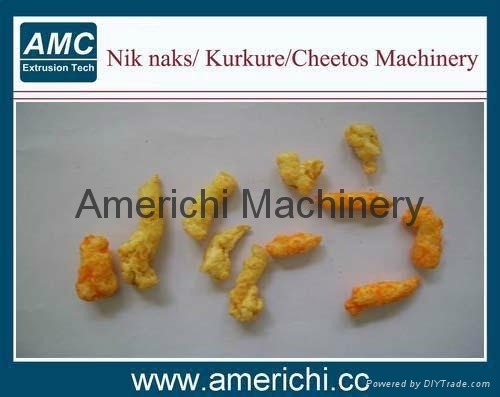 Nik naks is made by extrusion process. 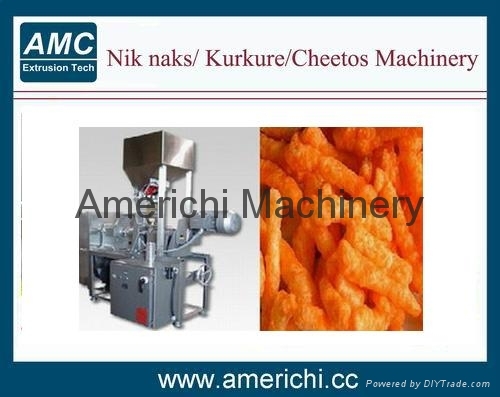 The corn grits are moisturized in a vertical mixer with water, oil then feed to the Rotary Head Extruder. 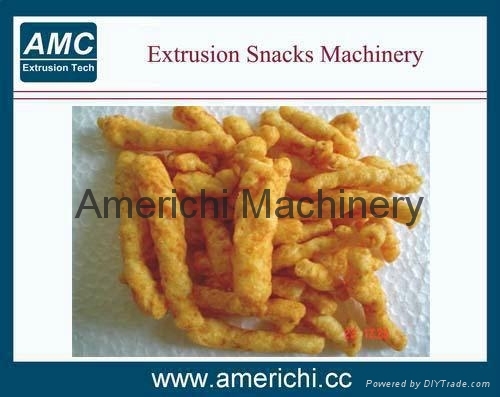 In the extruder, due to excess heat and pressure from the screws the meal gets heated and the moisture content gets reduced. The meal passes through the die and gets cut by the cutting knifes into required lengths. The nik naks is fried in cooking oil and then cooled before flavoring. Seasonings are sprayed on the nik naks to improve their taste.